Good location for traveling, nice staffs and lovely room to stay (warm and clean). Especially, breakfast was so lovely! More of a hotel than a hostel. We had a really nice stay, the room was very big with an also big bathroom. The bed was comfortable and everything was very clean. I would recommend for couples. The colosseum is walking distance and everything else is easy by metro. Everything was good, there is no specific complaint. Friendly hosts, good and light breakfast. No much option but what was provided was good. 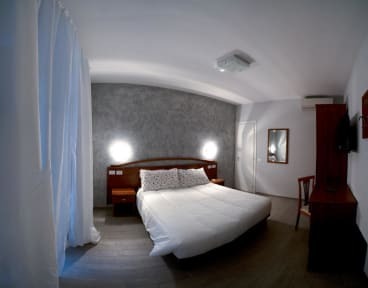 After checking in at A Casa Nostra, we (as others have pointed out in other reviews) were guided to a different location (Nika Hostel in our case). 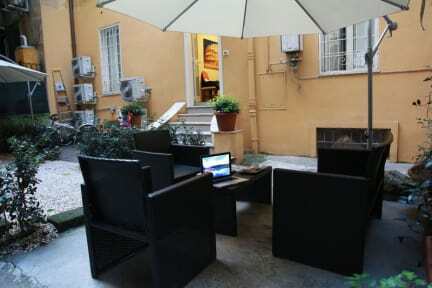 We only interacted with A Casa Nostra staff for checking in, and they were very warm and friendly. Nika Hostel has a great location and was super clean. As downsides, the atmosphere wasn't too cozy, and no breakfast was arranged in either day, even if we were specifically asked and we confirmed the previous day. Hotel is in percect location, some people have moaned that you have to walk from the reception to the guesthouse but its a 5 minute walk and is right near a supermarket. Easy access to tramlinks, buslinks and metro links. Staff are really friendly and helpfull, also speak great english. The bed was really comfy and they did a quick tidy of the room everyday. The outside security is good but the rooms dont appear to have individual keys. just keep the key in the door at night. Stayed for 3 day and although had to move to another hostel it was good overall. The breakfast was good enough for you to survive the day. The WLAN was seriously fast. Cleanliness is OK. The staffs were friendly and wanted to give you some tips and gave us a map. Location was strategically placed because it was just 5-8 minutes to the Metro. And was close enough to some Pizza. Everything was very clean. Staffs were very nice and gave us a lot of travel information. Location is close to metro station. Breakfast was good but only one bread and two drinks. The only downfall was their heater didn't work . The staffs tried to call assistant, but in our three night stay the heating problem was still not fixed. All our neighbors complainted the same thing. Cancelled on me giving a false reason. Didn't help me out. I had to book another room for New year's Eve. All this to increase the.price of their rooms. They were not even ready to listen to my queries after cancelling.